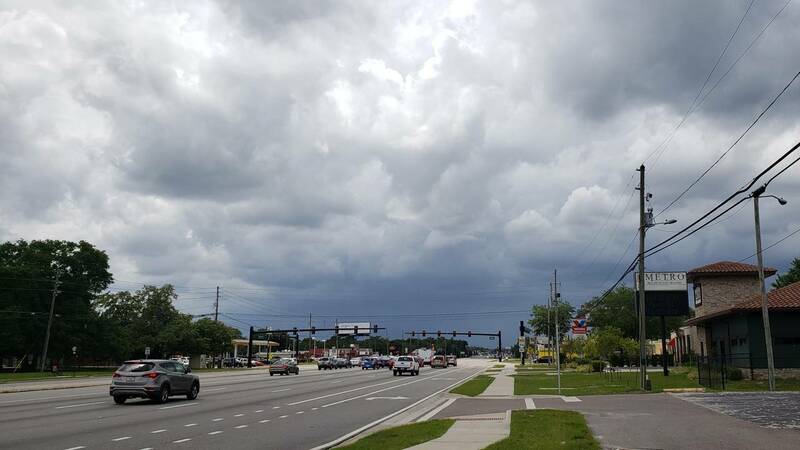 ORLANDO, Fla. - Another round of showers and a few thunderstorms will start over northwestern zones Sunday evening and then clear the Brevard County coast by sunrise Monday. An area of rain will be advancing across the state tonight and there will be a chance for some thunder and lightning until Midnight. Rain chances tonight are 60 percent in Orlando to 40 percent in Ocala. Lows will hit the mid-60s only to rebound to the low 80s for Tax Day. Tuesday and Wednesday are sunny days... but big chances are indicated by Thursday and Friday. The next big system that could bring thunderstorms takes over the end of the week, Treamor said.